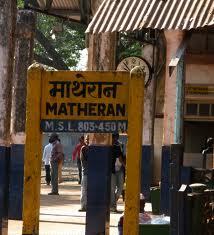 Matheran literally means "Forest on Top". Toy train does not operate during Monsoons. 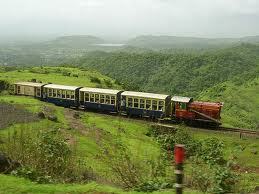 Matheran train booking can be made at IRCTC website of Indian Railways. Charlotte Lake : The lake has a splendid view with the dam at one end and a temple at the other. You can have a pleasant walk around the lake at any anytime of the day. Treks: here are many trekking routes to reach Matheran. The easiest is thru the Garbert Plateau. 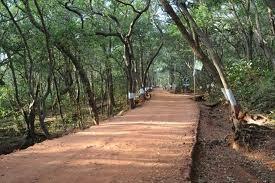 Night walks along Neral - Matheran mountain road is popular.